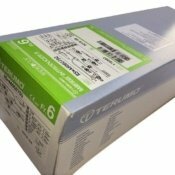 Terumo Radial TIG 5Fr, an angiographic catheter is intended for use in angiographic procedures. 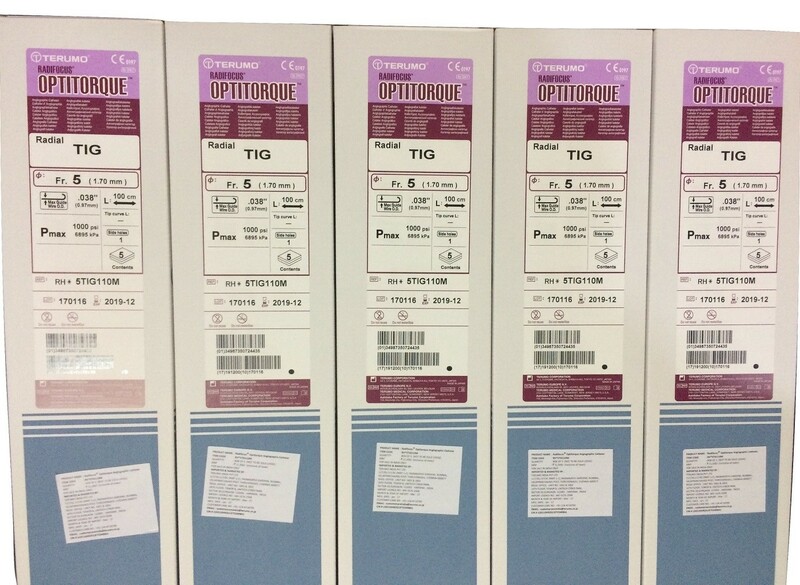 It delivers radiopaque media and therapeutic agents to selected sites in the vascular system. 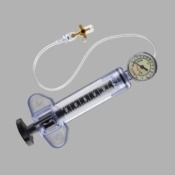 It is also used to lead a guidewire or a catheter into the target site. ​1 Terumo data on file. 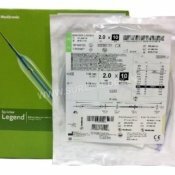 Reference RF55GB-0805MD-I5(0805)E. Measurement of distal rotation angle relative to the proximal rotation angle – comparison single mesh catheters vs Radifocus Optitorque. 2 Seong-Man Kim et al, 2005. 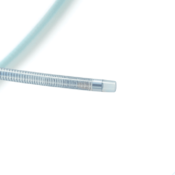 Novel Diagnostic Catheter specifically designed for both coronary arteries via the right transradial approach. The International Journal of Cardiovascular Imaging. 2005, 10.007/s10554-005-9029-8. 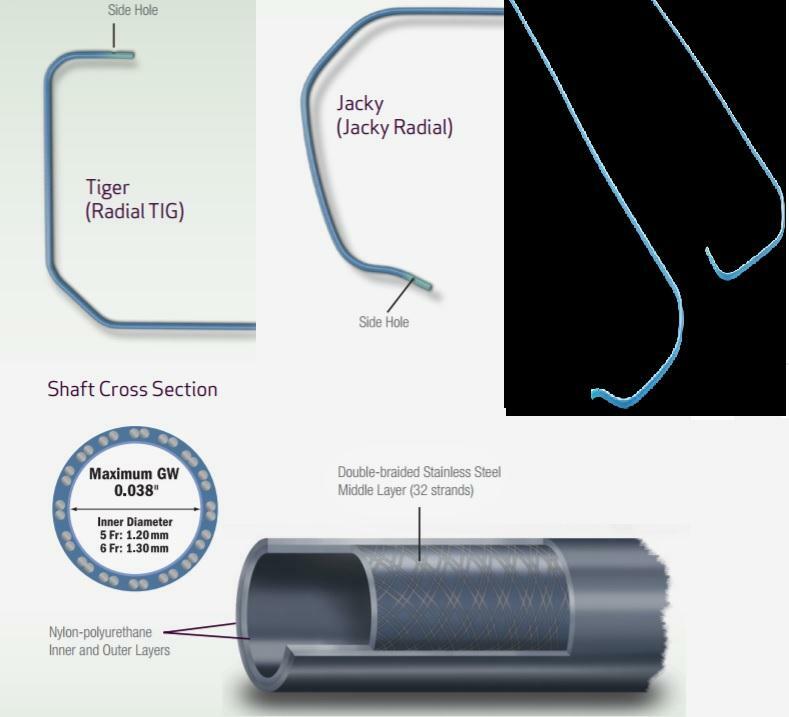 3 Comparison of Terumo Tiger II 5 Fr catheter vs. Cordis 5 Fr Standard Judkins catheter. Seong-Man Kim et al, 2005. 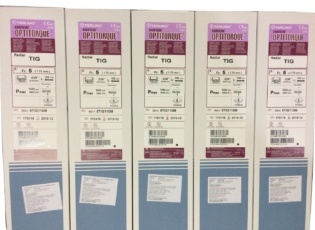 Novel Diagnostic Catheter specifically designed for both coronary arteries via the right transradial approach. The International Journal of Cardiovascular Imaging. 2005, 10.007/s10554-005-9029-8.